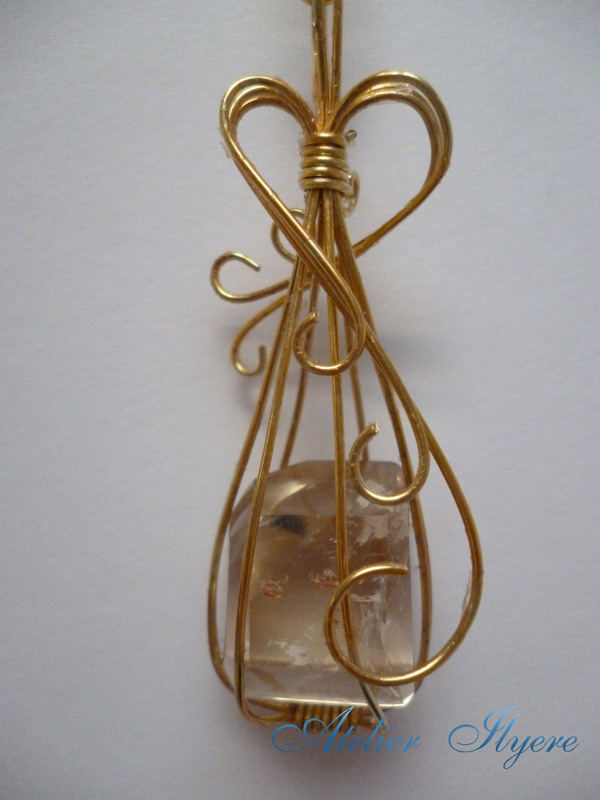 I’ve done a citrine pendant before! But I like to think that I’ve improved since then. I also had this beautiful piece of citrine to work with. This time, I opted for no Swarovski crystal adornments, simply because I wanted the stone to be the centre of attention. This entry was posted in Gemstones, Jewellery, Pendants, Wire and tagged Brass, Citrine, Gemstone, Gold, Jewellery, Necklace, Pendant, Wire, Yellow. Bookmark the permalink.